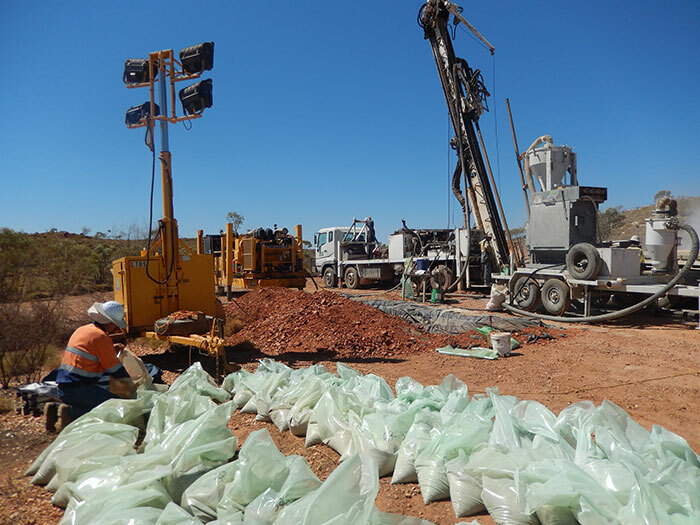 Exploring the Pegmont lead-zinc project in Queensland, Australia. Source: Vendetta Mining Corp.
Vendatta Mining Corp. [VTT-TSXV] shares were active Monday January 28 after the company announced the results an independent Preliminary Economic Assessment for its Pegmont lead-zinc project in Queensland, Australia. Vendetta is a Canadian junior exploration company, engaged in acquiring, exploring and developing mineral properties with an emphasis on lead and zinc. It is currently focused on advanced stage exploration projects in Australia. Vendetta has an option to acquire a 100% interest in the Pegmont Project. Pegmont is a multiple lens, stratiform Broken Hill-style deposit that outcrops with an overall shallow dip to the south east and is hosted in a magnetite-rich banded iron formation within high grade metamorphic rocks. The basis for the PEA is a mineral resource estimate that was announced in a news release on August 9, 2018. According to the updated estimate the property hosts an indicated resource of 5.7 million tonnes, grading 6.5% lead, 2.6% zinc, and 11 g/t silver. On top of that is an inferred resource of 8.3 million tonnes grading 5.1% lead, 2.8% zinc and 8 g/t silver. The PEA foresees a mine life of 10 years at a rate of 3,000 tonnes-per day open pit followed by underground operations. It predicts annual production of 124 million pounds of lead, 50 million pounds of zinc and 298,000 ounces of silver. Pre-production capital is estimated at $170 million, with life of mine sustaining capital pegged at $59 million. Other PEA highlights include a pre-tax Internal Rate of Return of 32% and a Net Present Value [8%] of $201 million. “There remain significant mineral resources not included in the PEA mine plan, which, with further drilling, will potentially increase the mine life or increase the production rate,” the company said. Investors reacted by sending Vendetta shares down 10% or $0.015 to 13.5 cents on volume of 1.45 million. The 52-week range is 13 cents and 25.5 cents. “The results outlined in the PEA demonstrate a robust, stand-along project,” said Vendetta President and CEO Michael Williams. 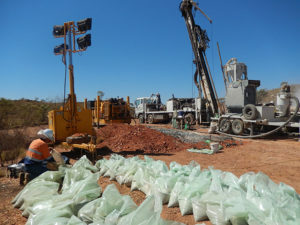 “The project has been able to take advantage of Pegmont’s location in the centre of well-developed infrastructure to deliver a pre-start capital that makes this an achievable project to develop for an aspiring junior miner,” he said. He went on to say that in addition to extracting more value out of the project, Vendetta will move forward while evaluating value adding opportunities in the region.